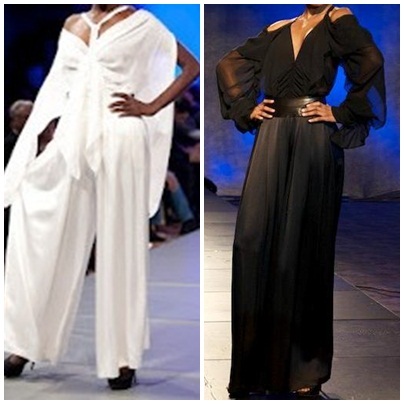 On the nights of April the 27th and 28th, local Barbadians and socialites mingled with Ebony Magazine’s Style Director, Marielle Bobo and were wooed by not only by the voice of Barbadian songstress Ria Borman but also by the high fashion exhibited at the first ever Barbados International Fashion Festival. 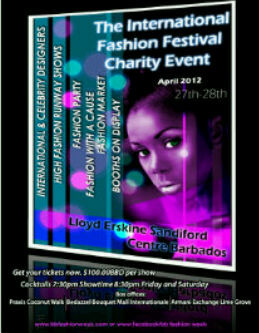 It was a charity event held to provide funds for the programme “Adopt-a-Designer” where selected local Barbadian designers Alexis Campbell, Andrew Harris and Kesia Estwick, were adopted by the featured designers to be mentored; to help broaden their horizons within the international world of fashion. 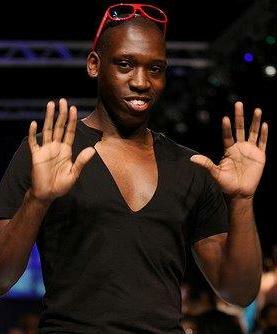 It was hosted by BB Fashion Week™, where local models walked the runway to the beats provided by Dj Kirk Brown in creations from two renowned international designers; California-based Filippino designer Oliver Tolentio and designer Romero Bryan out of London. 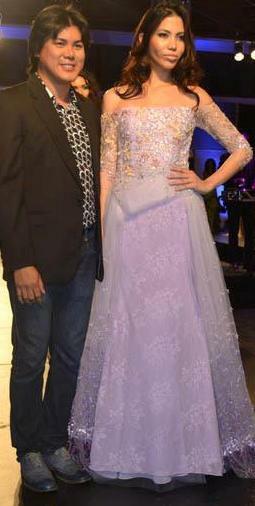 Both designers made debut appearances here in Barbados and each has a very unique style and distinctive look, evident in their runway couture designs. The photos published aren’t claimed my Radical Trendsetters but of local photographers; Oliver Tolentino Collection was taken by BajanMovement and Romero Bryan Collection was taken by Patient Productions. Ladies, we always try to cover up our spots, but then they are some that we can’t help but love to show. Come on, a leopard can’t hide his spots and a cheetah has too many to count. So, it’s time for a spot check! When it comes to leopard and cheetah print, we get the ladies who can it pull off and make everyone else hear the song “I Am Woman Hear Me Roar” in their heads; or, we get the ones who we would like to trap in a box and lock them away forever; not even to be viewed from behind a glass window in a zoo. Also, there are those who stay completely away from these prints all together. Therefore, here are some tips to help work leopard or cheetah prints into your wardrobe without going over the top or leaving your comfort zone. Just remember that simplicity is best; so, I recommend you to limit one print piece per outfit to keep a chic look. Moreover, its best to match up these prints with solid colours and don’t forget to accessorize. So let’s go ahead and dabble in these waters, you can use the following combos to inspire you or you choose them as they are. Incorporate a leopard print head tie with a black blazer over a white shirt, blue jeans and black ballet pumps for a little panache. 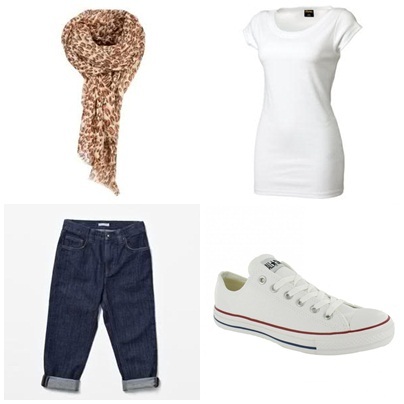 Get a cool relax look with a white t-shirt, blue cropped jeans, white converse (or any other white casual shoe) with cheetah print scarf. Bring to life a white dress with a leopard print belt and brown strappy shoes for an effortless sophisticated look. A well put together ensemble of the famous LBD (little black dress), matched up with a fringe necklace, black heels and a cheetah print clutch. 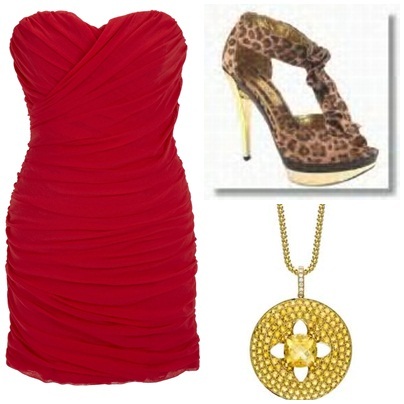 Be a smitten vixen in a short strap-less red dress with cheetah print platform heels and a long necklace. Synch a white button down shirt with blue jeans, leopard print ballet pumps and a black clutch. 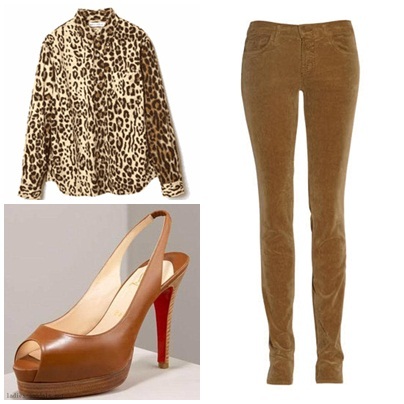 Combine a tan pants with a leopard print shirt and brown platform heels. Highlight a short mustard romper with a cheetah print blazer and tan heels. Add a contemporary twist by playing up a black top with a cheetah print skirt and fuchsia pumps. 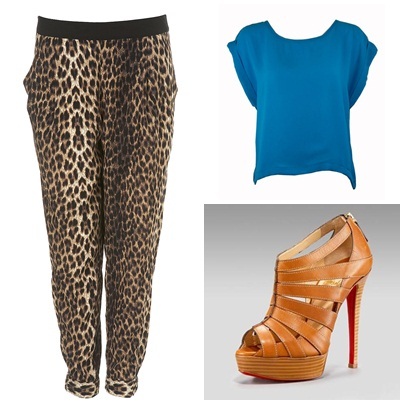 Complement a cheetah print pants with a blue shirt and brown strapped platforms. A leopard print dress matched with black heels and a fringe necklace. For every rule there’s always an exception and as always only a few can pull it off. Ladies, give me a drum roll please, mixing and matching prints. In this case it’s more the body shape, the colours and attitude that makes the outfit hot. So go forth and release that inner wild child, I’m interested in hearing which are your favourite combos or inspirations; so comment and let me know. 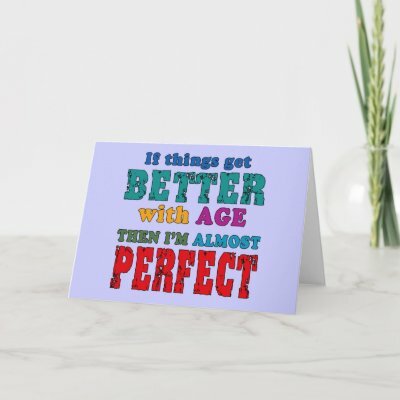 It’s that time of the year again and I don’t mean christmas, today is my birthday (happy dance), bring out the cake, I’m ready to blow out my candles. After adding another one to the tally, I won’t be saying much but rather take a moment to reflect. 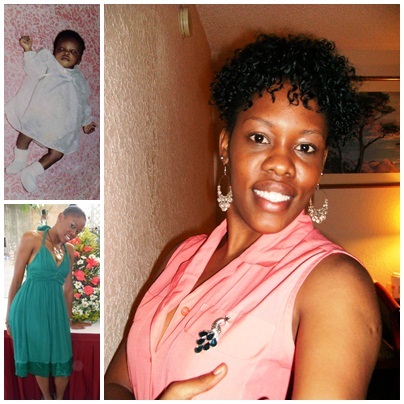 So I have decided to dedicate today’s post to the top ten things that have gotten better with time. 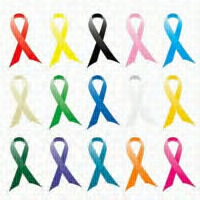 Awareness: Over the years people have become more proactive in their fight against sicknesses as to getting tested early, before all hope is gone; mom alway said prevention is better than cure. 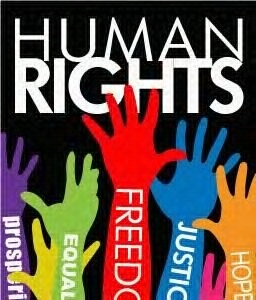 Human Rights: Even though it has taken many years and lives the world has been moving away from the dark days and towards a brighter future. We have earned equal rights for women, protection of the child, acceptance of people of different ethic and religious backgrounds and many more, all for the better of man kind. High Heals: Next to diamonds I believe they are a girls best friend, adding height, femininity and sophistication, what more can a girl want. I love them, every single peep-toe, strappy, bow-top, platform pump!!!!!! Jeans: They come in all different styles, shapes and colors to guarantee comfort; ranging from low-rise, high-waisted, boot leg, flare, mid-calf to boot pops. Shapewear: Thank God there has been developement in this department moving away from those suffocating corsets to more practical piece or pieces to ensure you get the support and coverage needed. Cosmetics: Personally as a black woman, I am truly happy with the advance in cosmetics were we can truly get a more natural look that goes back with our complexion. Moreover, the art of applying cosmetics has been taken to another level where you can create breath-taking makeovers and the hues available are never-ending therefore the amount of looks that could be created are countless. Technology: Thanks to great minds like Steve Jobs and companies like Sony, how we listen and view entertainment has changed dramatically over the year. Plus, the introduction of computers, laptops, the internet and mobile phones have simplified the way in which we communicate today. The old still cameras and Polaroids have given way to lighter, smaller version, which are capable of taking high quality photos. 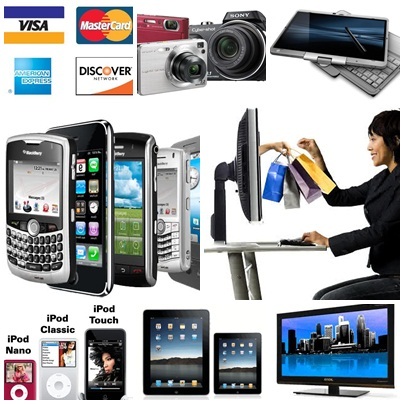 Other inventions which have eased us greatly, are the credit and debit cards, these have made shopping more convenient instead of logging around with huge sums of cash. These inventions along with the internet have made online shopping a breeze, where you can sit in the comfort of your home and shop; say goodbye aching feet and hello cramping fingers. Friends: As the years go by, no one knows you better than your friends, they are the ones that have seen you laughed and cried, they have even been through if not all, most of your drama and yet they stick around. The old friends from childhood days are golden but the new ones we make along the way are keepers as well. 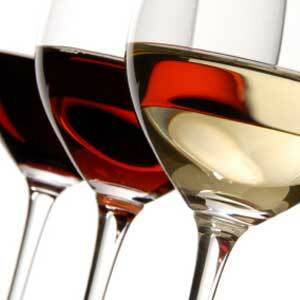 Wine:Nothing helps one to reminisce better than a glass of wine, no mater your preference or taste. The older the wine gets the stronger it is making the quality better giving it a better taste. I prefer white wine and I usually have my wine like the french with some cheese. Me:I can say that over the years, there have been a lot of improvements in my life and gained wisdom through life’s many challenges. I’ve grown to look over small issues and look at the bigger picture. With each year, I have become more aware, more appreciative, tolerant and sophisticated; I”ve created my own style, shaped my own future, made up for my mistakes, advanced in my career and still stayed in contact with my old friends, while making new ones. Just like wine, I keep improving my quality. Most women are like pretty dolls trapped in little boxes, same clothes, shoes, same everything. Nowadays so many are so caught up in the cliché that they need to step off the runway and onto the real way. We as individuals each have our own personality, though we might not all be trendsetters, we all have personal style. 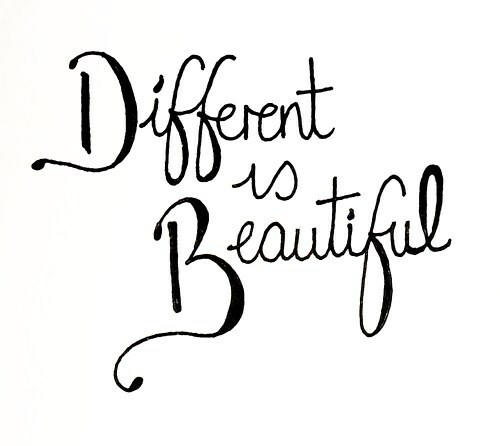 Being different isn’t always about drawing negative attention to you and stick out like a sore thumb, but more highlighting the individuality in all of us. Embrace your personal style and don’t be afraid to show your creativity. Fashion is an art and a mere interpretation of the viewer’s perception and therefore it’s not what you wear but how you wear it. 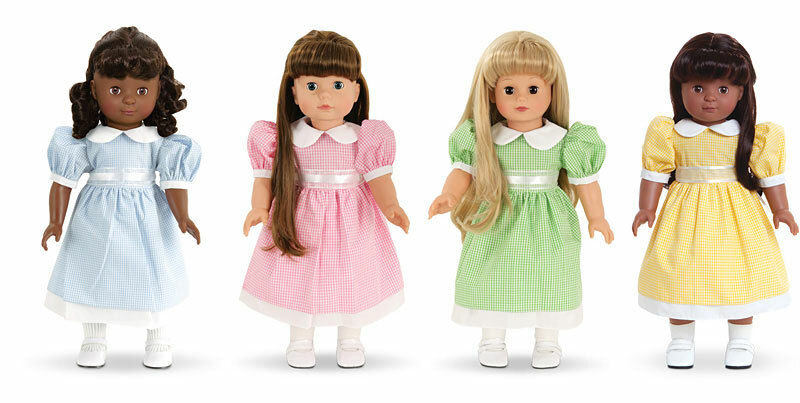 Blending in with the crowd only leads to comparison and the saga of who wore the look best. Don’t allow yourself to be defined by others but rather stand out in the crowd, even within your little clique of friends. Being able to dress different involves thinking outside the box, avoid being a slave to fashion and be a master of it. A good way to create your personal style is to look at magazines and celebrities for inspirations and not as guides or gods because you’re not the only one who favors that particular magazine or celebrity. Instead, take the looks that have inspired you, choose the ones that you feel comfortable in and suit you best; also choose those which reflect you and not someone else. Clothing should be looked upon as an extension of your personality, pay attention to your body shape and experiment as you build your style around the trends. I have an animated and spirited personality, so my personal style reflects whatever mood I’m in. I usually go for classy chic, posh glam, bohemian or tropical looks; it may sound crazy to have such a wide preference but come on everyday is different so why shouldn’t my style be. I always try to mix it up to avoid being blah and boring and out of the box. What’s your personal style like? Looking at some of the latest trends out for 2012 you may feel that you went into a time machine instead of your bed and somehow magically woke up back in time. But be reassured that that’s not the case here. Looks that your grandmother or mom wore when they were young, are raising their heads again. Who would have taught that we be stealing looks from them, I can’t believe it either but these look are no longer outdated but very up-to-date and fashionable. First creeping back were the platforms, then it was lace and now to join these looks is the peplum all revamped with an edgy modern-day appearance to it. 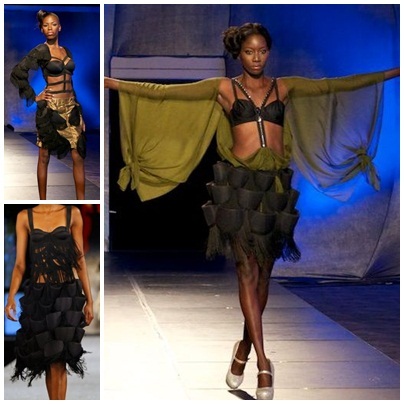 For those who aren’t familiar with the trend may ask what is peplum; so let’s shed some light on this matter at hand. A peplum is a fabric gathered made into an over-skirt with a full flounce similar of that to a short ruffled skirt attached to the waistline of a bodice, jacket, skirt or dress. Normally, many trends can only be worn on the catwalk or by fashionistas, but the peplum look suits every woman’s body shape as it beams with femininity and confidence. First appearing in the late 40’s, the peplum trend became following its appearance in the 1947 Chanel collection and carried on into the 50’s. Later in the 80’s it made a comeback and hadn’t been seen until it was sported by Victoria Beckham in 2009 who then showed it in her 2010 spring line. The peplum has been present throughout various luxury collections but it has been unnoticeable being very demure amongst the other trends until now; once again it has centre stage. Now in 2012 this trend is becoming popular ironically due to Chanel who once again featured the peplum in it’s 2011 winter collection. On international runways, many designers and design houses like Alexander McQueen, Versace and Marc Jacobs are now re-invigorating this look within their collections, each one with their own twist and signature design. 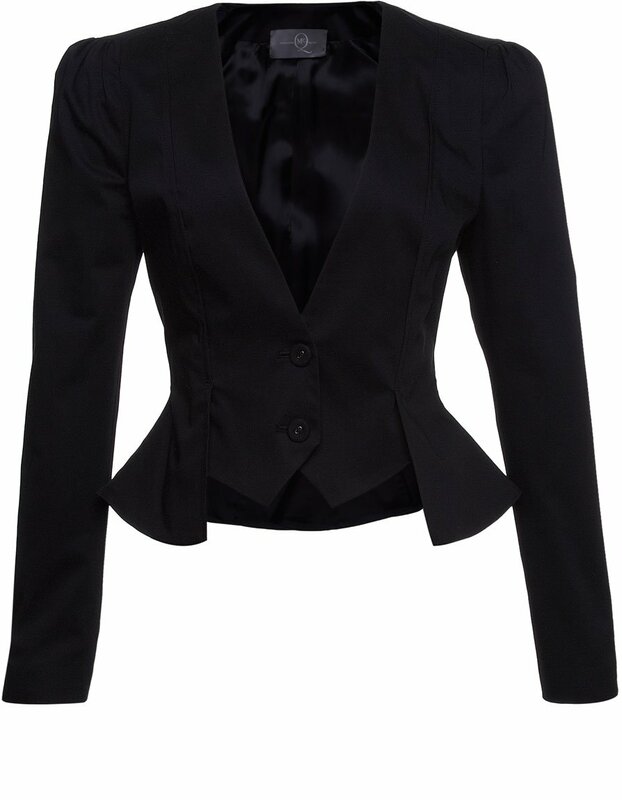 So you can fabulously rock the peplum look no matter your style or body shape this year. Every trend has its tricks to pull the look off successfully, so the peplum isn’t excluded. 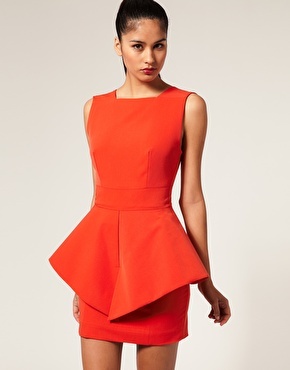 So take into consideration that there are two types of peplum, the fitted and the flared. The fitted version will flatter your curves for all my curvy sisters and for those who are not naturally blessed, the flared version will create an illusion curves perfectly. This look will leave every woman looking polished and beautifully curvaceous. Here are some of my favorite peplum looks so far. Glam up your peplum with a pair of heels or tone it done with a pair of flats and always remember to accessorize. Not a must do, but most stylists recommend to wear hair in a nice up-do hairstyle creates a balanced look. In the long run always do what works for you and suits you best. What’s your favorite Peplum Look ?